It's not an uncommon sight on Hawaii's Big Island, but it's awesome every time it happens. 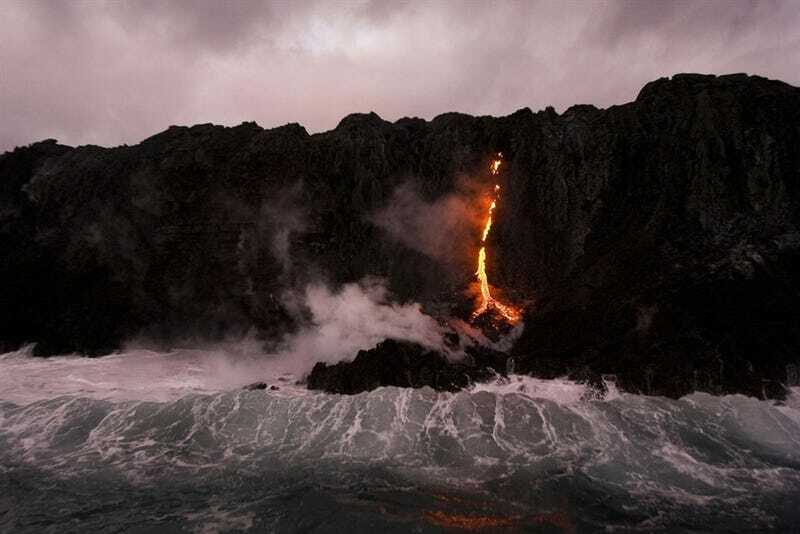 Over the weekend, lava from Kilauea — which has been erupting constantly for nearly 30 years — found its way down to the ocean. It had to travel 7 miles over rocky terrain to get there, and here you can see the spectacular results in these photographs from Reuters' Hugh Gentry.